I was so excited to have the option to visit the PGA show in Orlando this year again. 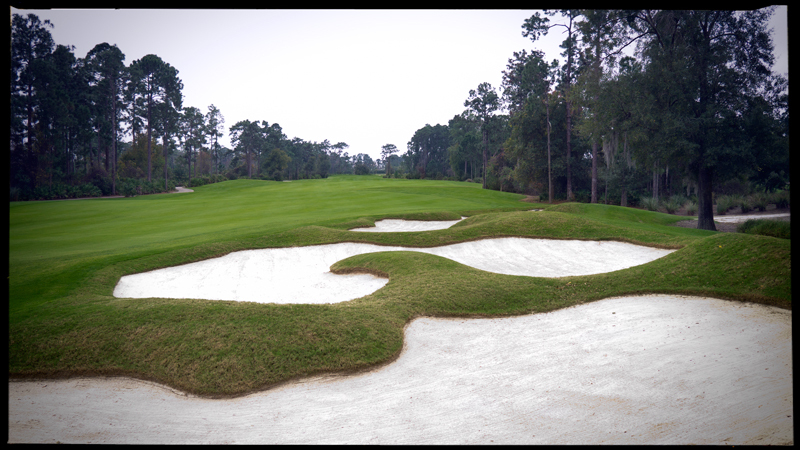 So I decided to travel to Orlando earlier to play some of the best courses around this area. I also got pimped by HIO-Fitting with some awesome fresh weapons in my bag and some nice shirts from The Driftwood Tales. But at this point I’ll return in some of the next reviews. I arrived wednesday night at the hotel after a long exhausting flight. 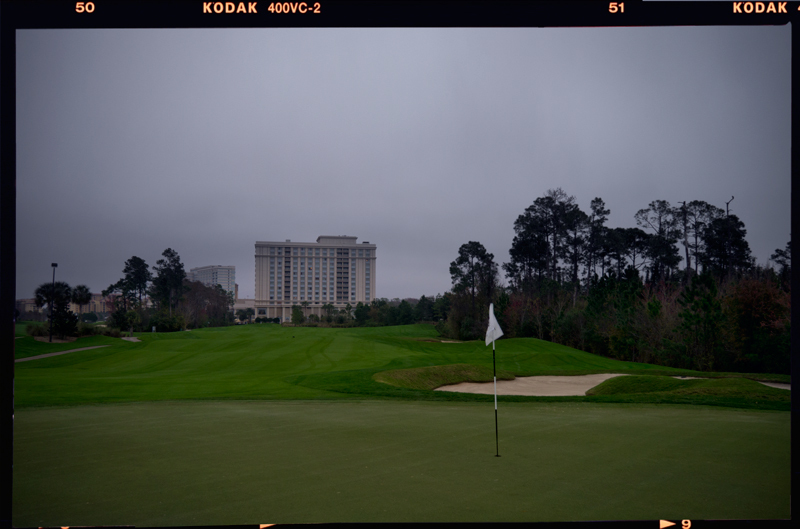 I brought the luggage up to my room and went back to the lobby and reserved an early bird tee time at Waldorf Astoria Golf Club, no.15 on the „30 best public golf courses in Floridas 2014“ from golf.com. Because of the jet lag I couldn’t sleep so I booked another teetime for thursday afternoon via golfnow.com. By the way golfnow.com is a super booking website in the U.S. and it would be a great idea to have a site like this in Germany, it could really help the golf business a little bit. 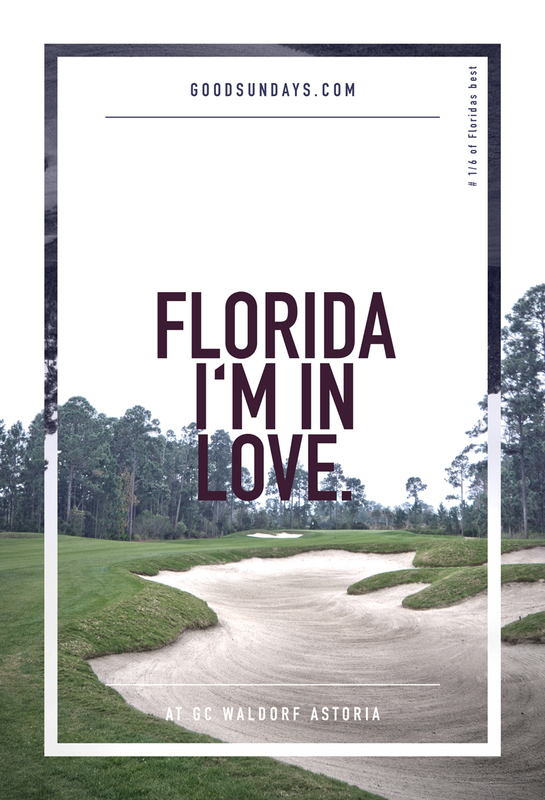 Anyways after a short night I was very excited to play my first round in Florida since such a long time. I have had always respect about the quality of american golf courses and my bag was packed up with many new clubs. So I went a bit earlier to the range to hit a couple of balls to get a feeling for my new clubs bevor I had get to the first tee. The atmosphere at Waldorf Astoria Golf Club was very relaxed, so I got the option to start a little bit earlier on my own. Arriving at the first tee I met the starter. We had a little chitchat and he gave me some good recommends for some other courses I should play during the next days. 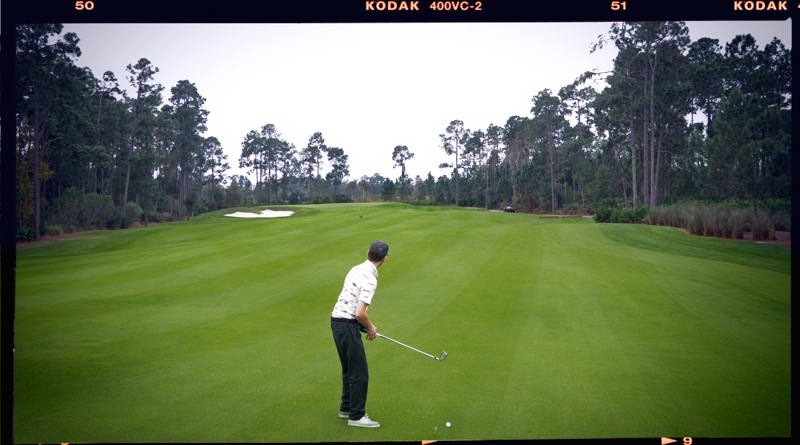 But then I started to focus on my first tee shot in the US with my new driver (later more about it). It was a crazy feeling but I almost hit my best drive since 3 years – death center and very long by my standards. I felt super comfortable. 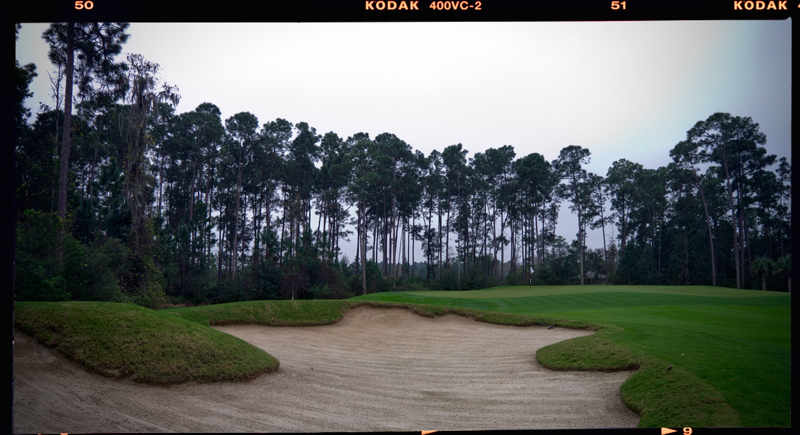 I had just a p wedge left which I placed in the big bunker on the left side of the green. And here the trouble had just started. I needed two shots out of the bunker and then two putts. So my perfect drive was ruined. 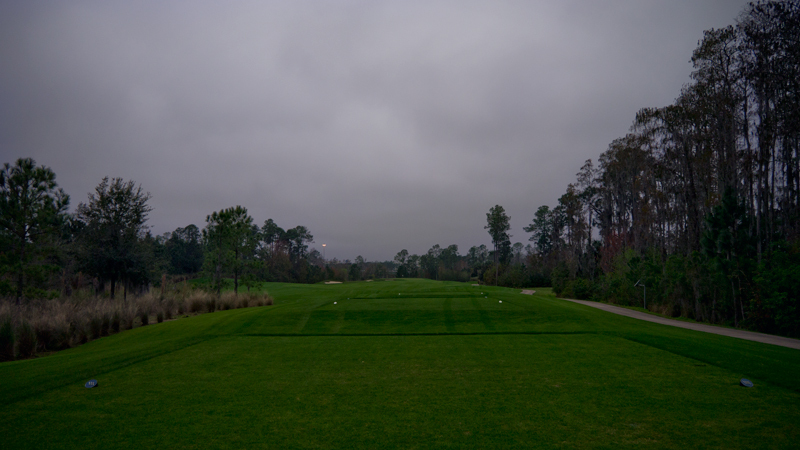 But this should be my representative golf on this very cold and cloudy day at Waldorf Astoria golf course. Perfect long drives combined with horrible irons and silly 2 putts, on the way to fast greens. After playing the first 6 holes I got rid of the score and focused myself on the really great course and I was so stoked by the architecture and the quality of this golf course. Just such an amazing difference to german courses. Everything was in perfect shape. I am always also so impressed by the tee boxes, totally plain and perfectly mowed. 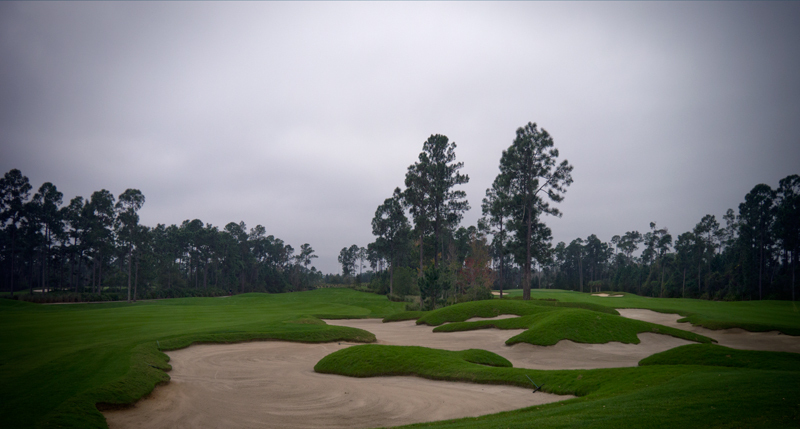 Usually I always remember some signature holes but if somebody would ask me which hole would be my favorite, my answer would be all of them. 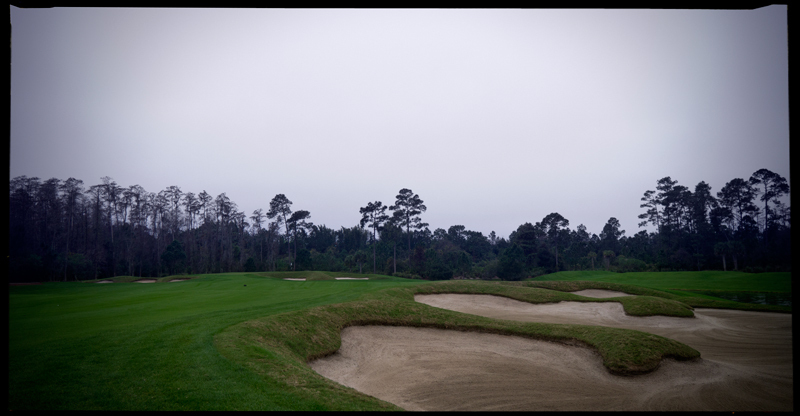 But I especially enjoyed the holes where the fairways were lined with trees. 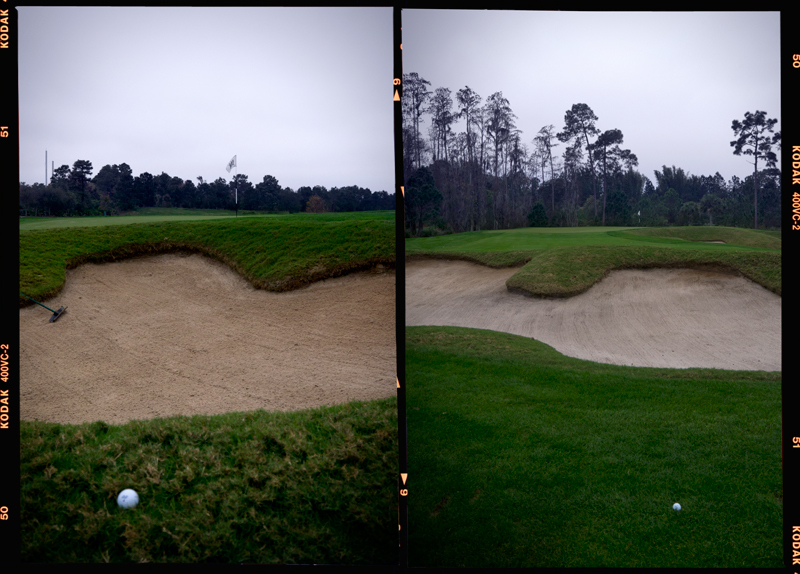 Surely the huge bunker arrangements are on every hole in play and if I wasn’t there I had to struggle with the unfamiliar thick rough. But finally what a surprise I hit no ball in the water. 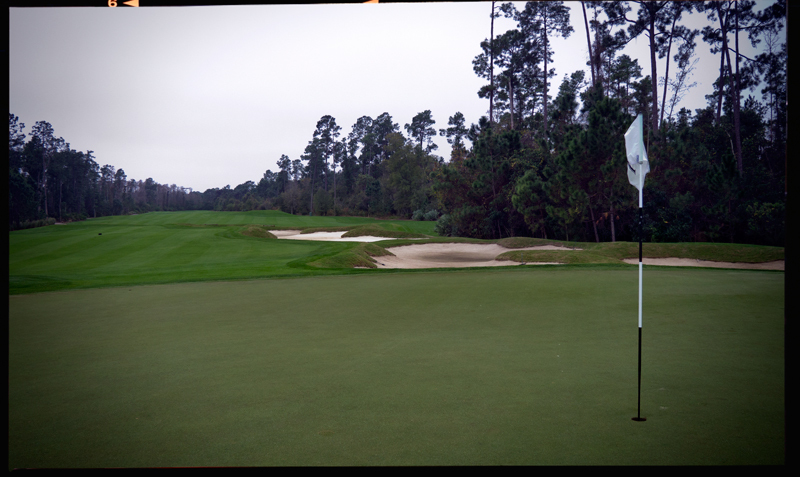 In summary this course is highly recommended if you are in the area of Orlando and I think on a nice day the Waldorf Astoria golf course is amazing. Maybe I have the chance to play here again.